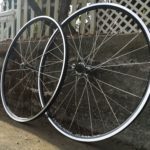 The Life of a Bike - Indigenous Wheel Co. The life of a modern bicycle can be rather short lived. It starts as a concept, progresses to being formed in a factory or by a custom builder, and ends up in the hands of its first owner. Depending on the bicycle, it is then enjoyed long-term, passed on, broken, or stolen. Once out of the original owner’s hands, many are never thought of again, except through the occasional journey back through an Instagram feed or race photo page. The opportunity to follow the life of a bicycle is very rare, but in our age of social media, little breadcrumbs are occasionally left behind. I am the new owner of a Spooky Supertouch frameset. As a fan of the brand and their use of oversized aluminum tubing, I felt like I scored when I came across this bike on eBay. 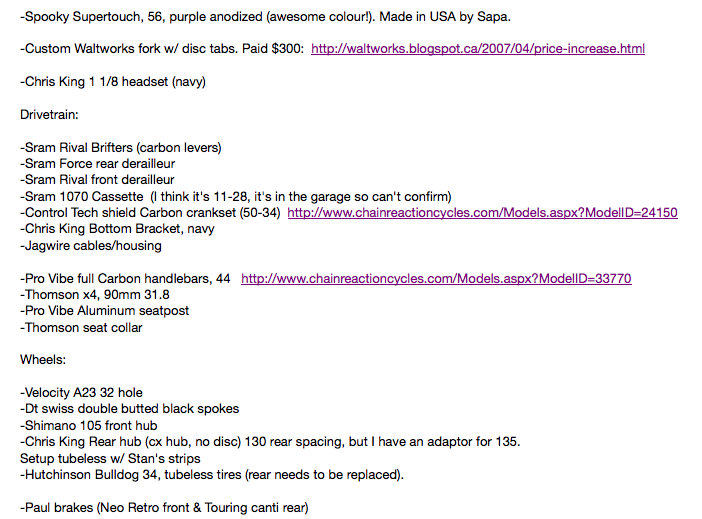 Like most cycling dorks, I grabbed all the diameters & specs of the frame and began piecing together my ideal build list. I went for a period-correct Dura-Ace 7800 series drivetrain, in case you were wondering (the same era as this frame). 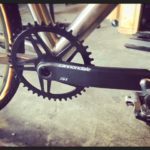 As I accumulated parts to build up the bike, I would frequently gather information over Google images as a source of inspiration – I wanted to see what other Spooky owners built their frames up with in the past. One photo that came from the pits of my searches showed an anodized purple Spooky with an infrequently used blue Chris King Sotto Voce headset, exactly what my bike came with. I realized that this was probably no coincidence. 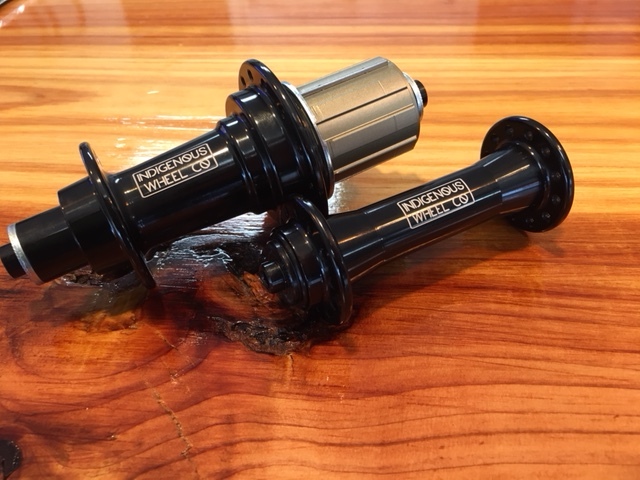 I traced the photo back to the original link, and it took me to a buy/sell portion of Pinkbike.com. Finding that the contact information was still included on the site, I went ahead and shot off an email to the seller. Despite the fact that the ad was placed back in September of 2014, surprisingly, he responded. His name is Angelo.He was a downhiller and trail rider from Toronto, Ontario. We talked over the key markings to make certain that this indeed was my “new” frame, and his old bike. The only difference between the frame now and the frame then was a “DIRT Magazine” sticker. Angelo filled me in on a few details of how he got the bike, and why he initially bought it. “bike was purchased off a friend when I broke a bunch of bones. To get back into training quicker [downhill] but i ended up using it everywhere including offload trails. It’s been on dirt more than cement, that’s for sure”. Angelo showed me to his Instagram account, where he had photos of his bike in its previous habitat. From my conversation with Angelo, I was able to do a little more digging and get connected with Jonathan, the original owner, and a friend of Angelo’s. Jonathan lives in Vancouver, British Columbia. Angelo purchased the bike from Jon back in 2012. Angelo said I could find Jon under his Pinkbike.com friend’s list. On the hunt again, I sent off a message to Jon and was able to start a conversation with him as well. Jon was very helpful and gave me a lot of information on the frame: the year it was built (2008), his custom styled Waltworks, Yo Eddy-styled segmented fork, and even the original spec on the frame. While Jon no longer has any photos of his Spooky, he says it stayed relatively unchanged during the time Angelo owned it. 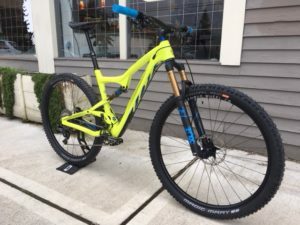 Angelo ultimately decided that he wanted a little extra cash and a new Kona Process trail bike. He posted the ad on PinkBike and sold the bike to Chris, my eBay seller. Chris saw the ad on Pinkbike.com and bought it from Angelo as a race bike. 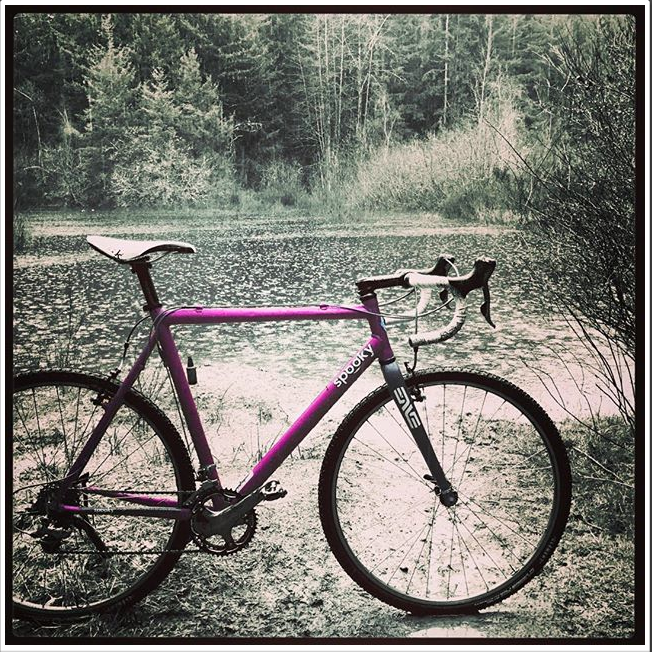 A biologist and cyclocross enthusiast from Brooklyn, New York, he too clearly had a thing for purple Spooky frames. Chris was the one that made the jump from the original fork to an Enve CX fork and raced the bike. He didn’t just take it to a few podiums, he also gave it the battle scars, too. Little dents on the down tube and top tube, anodizing wear from hands on the top tube and tires in the chain stays; all are from his time training and racing in his year of the Spooky. Finally, eight years later, I bought the frame from Chris. Above is the first photo I saw of that bike. 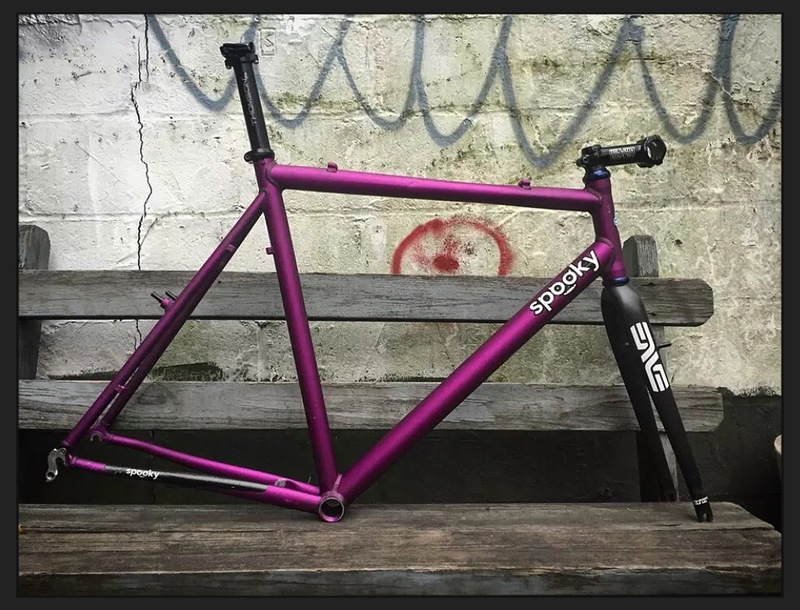 I always admired Spooky bikes, and I really like the purple anodized finish. The opportunity to own one presented itself and I took it, along with its history from riders across Canada and the US. Every time I ride it, from the Strava bike profiles and Instagram photos, to documenting my experiences on this website, I am leaving my little breadcrumbs online for the next owner to follow.